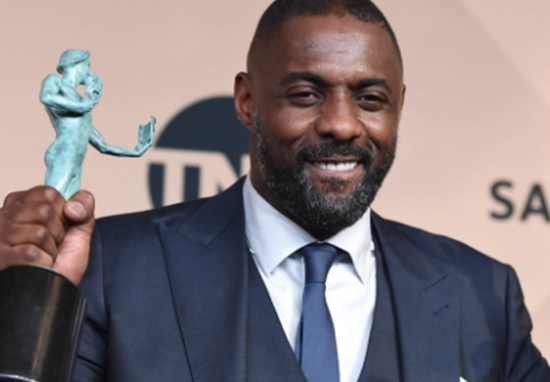 Idris Elba has had an extremely busy few years, starring in a variety of memorable and successful films. And it looks like the 45-year-old actor’s hectic schedule isn’t about to get any lighter. The Luther star is currently in final negotiations to play the main antagonist in Universal’s Fast and Furious spinoff, Hobbs and Shaw. The spinoff will see Dwayne ‘The Rock’ Johnson and Jason Statham slip back into the roles of Luke Hobbs and Deckard Shaw. Elba’s character has not yet been named, however this will be the villain faced by Hobbs and Shaw. According to Variety, the film will be directed David Leitch, with Fast and Furious screenwriter Chris Morgan writing the script. Production is reportedly all set to begin this very autumn. I think it’s going to be a little bit more grounded because it’s the beginning. It’s an origin story, in a sense. It’s not an origin story, but we’re starting a franchise. So we want it to be a little bit more grounded, a little bit more character-centric. We’re going to set up the stakes for these guys and their relationship, but we’re also going to have some great set pieces and some action that you’d expect from that type of franchise. We’re diving into their world. I think we want to have our own take on the Fast universe. It will definitely have elements of the original DNA, but it is more drifting into Shaw’s spy word and Dwayne’s agent world and, obviously, we want to build on their relationship, their conflict, their banter. That chemistry that they have between them, that’s sort of what’s driving the movie. I’m at least a little excited about the #HobbsAndShaw news delivered today. Sounds like summer blockbuster at its blockbustiest. ? Idris Elba, Dwayne Johnson, and Jason Statham in the same movie…..
Every hero is only as good as their villain. Cue the music… let’s dance. And fans of the original franchise appear equally enthused at the prospect of Elba joining the team. He will make an EXCELLENT villian.. what a great choice!! I’m excited just thinking about it! ?? ?? ?? Great addition! Was hoping to see him replace Daniel Craig as 007. Way to snag a ?!! ???? This spinoff is going to be DOOOOPE! I’m ready for it Rock and Idris. Bring it, fellas!